My last big purchase was a yellow bag. The colour is turning out to be quite a favourite of mine this season and I quite like this cover for the use of the sunny hue. Just finished downloading this edition of Vogue India on my iPad, should keep me company on my flight from Buenos Aires to El Calafate this afternoon. 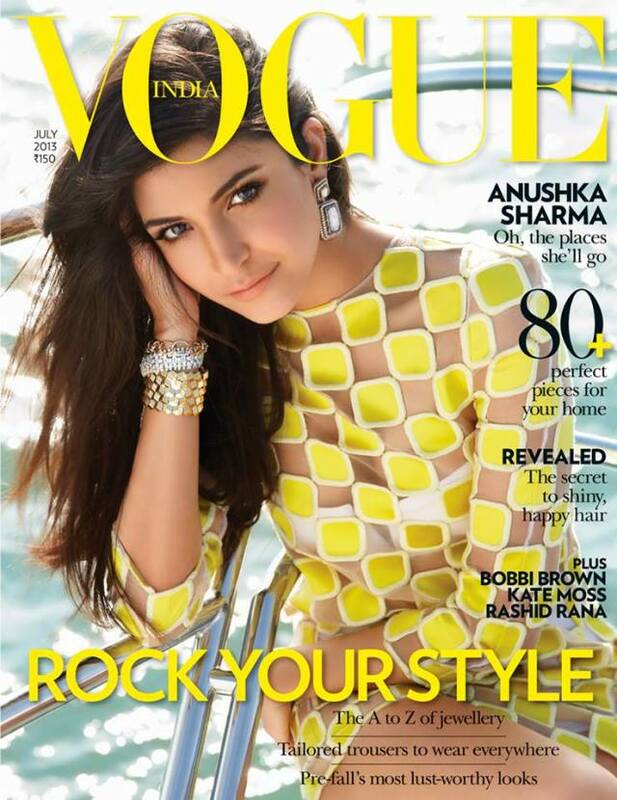 The satin and organza mini dress on Anushka Sharma is from Louis Vuitton. The bikini is from Shivan & Narresh and the jewelry is from Jaipur Gems.